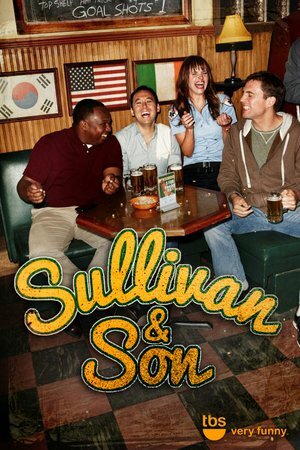 Sullivan and Son takes place in a popular and legendary neighborhood bar in a working-class neighborhood in Pittsburgh, Penn. Filled with locals and regulars, Sullivan & Son is the unofficial “town hall” to the neighborhood. Steve Sullivan is the son of the current owner of the bar and the grandson of its founder. His Irish-American father and his Korean-American mother never expected their son to leave his job as a successful corporate attorney in New York and return to the old neighborhood to take over Sullivan & Son. But that’s just what he’s done. And so begins Steve’s quest for a more meaningful and rewarding life behind the bar. J'ai regardé quelques épisodes et c'est vraiment sympa, bonne surprise. TBS a renouvelé la série pour une saison 02.